A rapid action cleaning agent for removing cement residues, grout stain, salts, efflorescence and other similar deposits. May also be used in dilute or concentrated form. 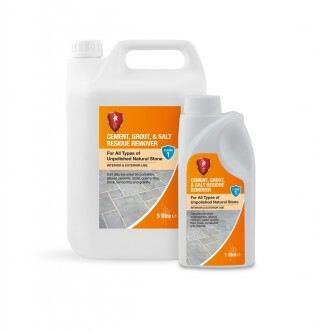 Ideal for use on all types of unpolished natural stone can also be used on porcelain, glazed ceramic, slate, quarry tiles, brick, terracotta and granite.